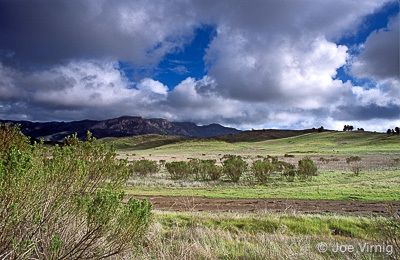 Named after the many oak trees that dot its landscape, Thousand Oaks is located in southeastern Ventura County. 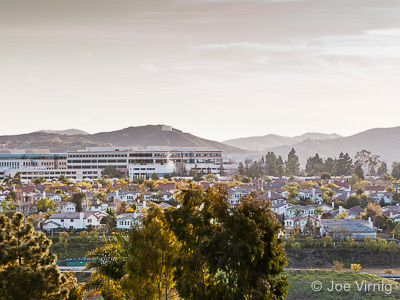 Thousand Oaks is the most populated part of the Conejo Valley, which includes Thousand Oaks, Newbury Park, Westlake Village, Agoura Hills, and Oak Park. The Los Angeles County/Ventura County line crosses through the Conejo Valley and Thousand Oaks, Newbury Park with the western portion of Westlake Village on the Ventura County side. The population of Thousand Oaks is 130,209 (2010). Newbury Park is located in the westernmost part of the city within the 91320 zip code. This area was formerly in the unincorporated area of Ventura County, but now is part of the city of Thousand Oaks. The only adjacent communities that chose to remain county areas are Casa Conejo, which was Newbury Park's first planned community built from the 1960s, and the Lynn Ranch neighborhood. Thousand Oaks has also annexed the parts of neighboring Westlake Village that were located in Ventura County. Thousand Oaks has a downtown area around the Janss Marketplace mall, The Oaks mall, and West Thousand Oaks Blvd. The majority of the city's residents live in suburban communities a distance from the commercial centers. 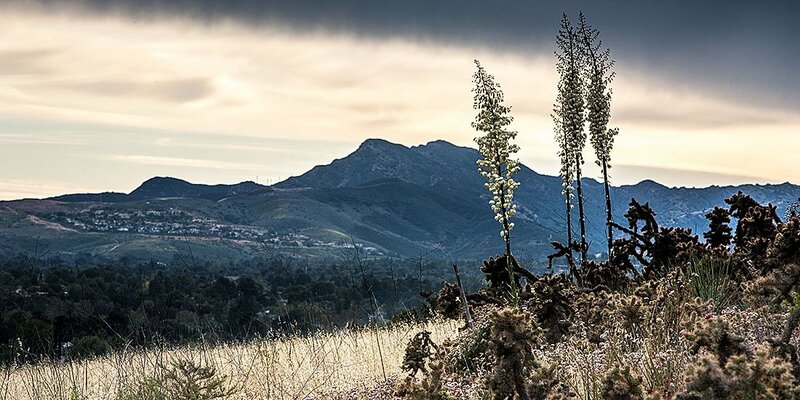 Thousand Oaks has a mild Mediterranean climate with warm, sunny, dry summers and cool, rainy winters. The area has slightly cooler temperatures than the surrounding areas in east Ventura County, as it receives cooler air from the ocean through various hill and mountain passes but it is significantly warmer in the summertime than the coastal communities in West Ventura County. Thousand Oaks is one of the safest large cities in the country, consistently ranking as the first or second safest city with a population between 100,000 and 499,999 in annual surveys. Biotechnology, electronics, automotive, aerospace, telecommunications, healthcare, and financing companies make up the core of Thousand Oaks' employment sector. Amgen, Teledyne Technologies, Sage Publications, and Skyworks Solutions all have their corporate headquarters in the city. Bank of America, Baxter International, General Dynamics Corporation, Verizon, Verizon Wireless, Volkswagen, Audi, General Motors, BMW, Silver Star Automotive Group, and Anthem Blue Cross maintain regional offices. 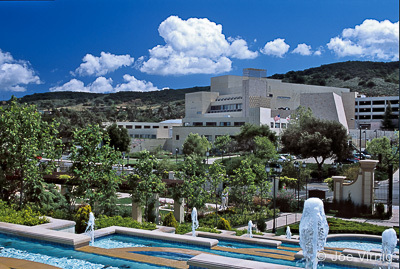 Other Thousand Oaks large employers include Los Robles Hospital & Medical Center, Conejo Valley Unified School District, City of Thousand Oaks, Hyatt Hotels, and California Lutheran University.